09 November, 2015The financial institution of the European Union grants a loan of 10 million euros for RDI activities to the first Spanish machine tool manufacturer. The finance contract was signed during the '“Apoyo a la Innovación en España”' event, organized by the EIB Group in Bilbao on 6th November, by the CEO of DANOBATGROUP, Iñigo Ucin Azcue, and the Vice-President of the EIB, Román Escolano and will finance RDI activities during 2015, 2016 and 2017. 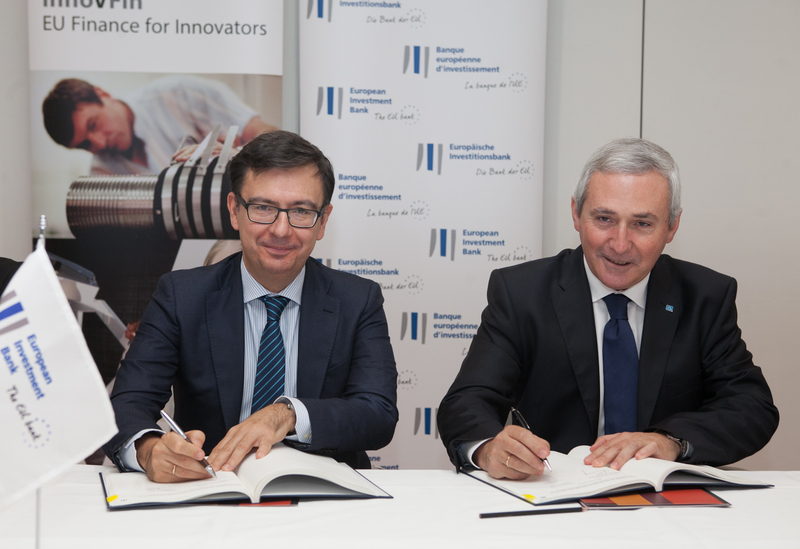 The EIB loan will support investments linked to three types of products: grinding, turning and equipment for manufacturing composite structural parts, in order to develop new solutions in these fields. DANOBATGROUP, first Spanish machine tool manufacturer, is a group associated with the MONDRAGON Corporation, which employs 1,180 workers. The EIB loan supports the group's strategy for sustained RDI, whose research focuses on high added value advanced manufacturing, and who spends 9% of its turnover for innovation purposes. More than half of its workforce is highly qualified, and 29% is dedicated specifically to research activities. The project is supported by “InnovFin – EU Finance for Innovators”, a new range of EIB Group products which benefit from the financial support of the European Union under Horizon 2020 Financial Instruments and are designed to facilitate access to finance for innovative businesses. The RDI investments will be carried out in Spain and will be implemented until 2017.